Everyone at least once in his life encountered a discharged at a wrong time battery of an urgently needed electronic device, and many of us get this trouble on a regular basis. The way to solve the problem is simple – just get a compact power bank, recharge it in time and remember to take it with you when going outside. 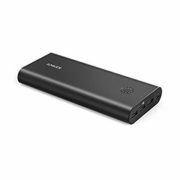 We offer you a rating of the best power banks of 2018, compiled from the reviews of experts and ordinary customers. Just remember – in order to choose the best power bank, you should assess your real needs and choose the device of optimal capacity. 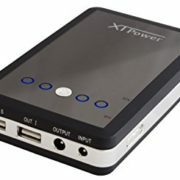 To know how to choose the right power bank, read this article. 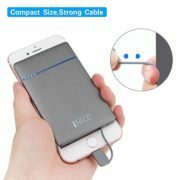 This power bank is universal by the way of connecting the power adapter or other charging device. 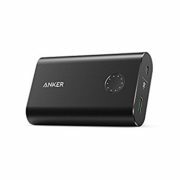 In addition to the micro USB interface, the recommended power bank is equipped with Lightning and USB Type-C ports. In other words, its charging will not be a problem for owners of almost any mobile gadgets. In addition, as the name suggests, the Rombica NS240 Quick supports fast charging technology. Moreover, for both own battery and accumulators of connected mobile equipment – of course, if the latter is compatible with the Quick Charge 3.0 specification. Therefore, one of the three available output connectors is able to “deliver” voltage in the ranges of 5-6, 6-9 and 9-12 V with current of 3, 2 and 1.5 A respectively. It remains to add that this Rombica can boast a very capacious lithium-polymer battery (24 000 mAh). it would be worth including a power adapter that supports quick charging. Brand HIPER is deservedly popular among owners of mobile gadgets. 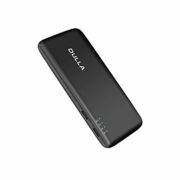 Compared to numerous competitors, the power banks of this manufacturer are distinguished by good strength and universality. The case integrity is provided by sufficiently thick aluminum, thanks to which the device is not afraid of falling. As for such a vague characteristic as universality, judge for yourself. First, the dimensions of the MP10000 model still allow it to be carried in pocket, and the capacity of the batteries is enough to fully charge almost any device. Secondly, the power bank is equipped with a solid set of adapters. Thirdly, the built-in micro SD card slot, on occasion, allows you to use the device as a card reader. For example, when connecting to a tablet. Finally, the brightness of the existing flashlight is enough to illuminate the tent in field conditions. the flashlight button protrudes above the case. This power bank allows you to charge not only almost any electronic device, but also can charge up to four devices simultaneously. On different ports, the device shows a current from 1 to 2.4 A, and by including the two most powerful of them in parallel, the owner will receive a charging current of 3.4 A. Moreover, single-amp connectors are sharpened for different controllers, therefore there will not be problems associated with features of individual producers. The charge quantity of the battery of such a solid capacity is difficult to assess with the help of a traditional LED indicator, typical for other banks. Fortunately, this model is equipped with an informative LCD display and now the remaining charge is shown to within a percentage. 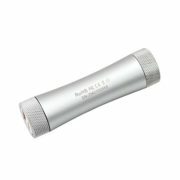 The built-in LED flashlight does not have a large light flux, but it can be useful if there are no other light sources at hand. informative indicator of remaining charge. non-linear decrease of charge, if you believe the numbers on the display. 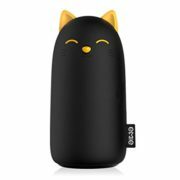 Try for the sake of interest to find a negative review of this power bank. Can not do it? This is not accidental. There is simply no better device for charging the phone. A small size, sufficient power, fast charging and practicability – these are the main advantages of the device. And all this for only $ 27. There are several adapters and cables included. Among the nice additions – a card reader and a flashlight. Moreover: you can charge two mobile phones of any models at the same time. Like it? We too. if to find fault, then we can say that there are actually chargers with more capacity. 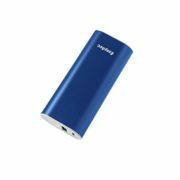 A simple and very compact inexpensive power bank, which easily fits even in a relatively small pocket and is almost lost in the average female handbag. 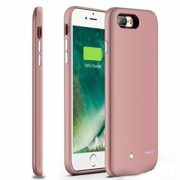 The case of the device is made of anodized aluminum, which most positively affects its strength. Unfortunately, the resistance to scratches and dirt in this model is not high. If the outer look is important to you, you should buy a case. The device has nothing superfluous: one connector per input and output, a control button and a four-level indicator. Actually, you don’t need more to charge a simple mobile communication tool. 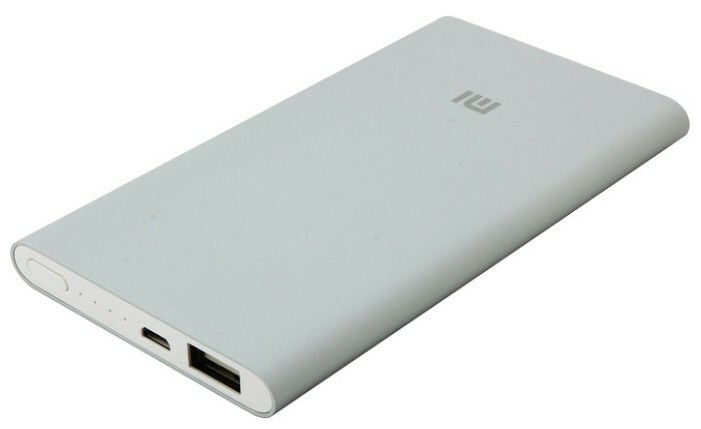 Especially if the latter does not support fast charging technology, which Xiaomi Mi Power Bank 5000 also does not provide. The useful capacity of the battery here is about 4300 mAh, so this power bank does not work for regular use with particularly «gluttonous» portable devices. does not support fast charging technology. 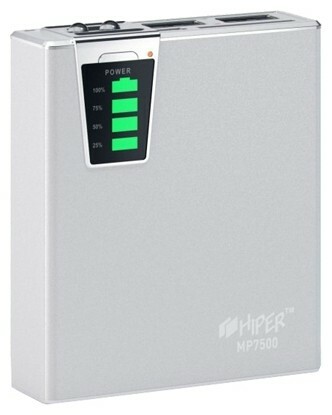 Against the backdrop of the bulk of competitors, the recommended model is highlighted by an informative LCD display, able to display the residual charge in percent, operating modes (replenishing of its own “reserves” of energy and transferring it to the connected device), as well as the output current. This power bank does not support fast charging, there is only accelerated one, with a current of 2.1 A. 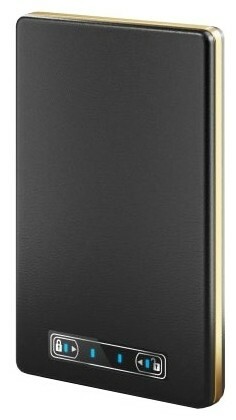 In addition, this power bank has a spectacular leather design. In fact, its case is made of plastic, but imitation is very believable. The designers did not even forget about the “stitching” along the edges of the upper and lower panels. Finally, the XPX6500 is one of the few models equipped with a flashlight. And, thanks to two LEDs, very bright. Of course, now it is difficult to find a mobile means of communication without such functionality, but two are better than one. 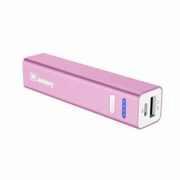 The capacity of the power bank is sufficient for two complete charges of the phone or a low-power smartphone, and thanks to its dimensions, it can be carried in small pocket or smallest handbag. The capacity of the device, which took the fourth place in our rating, allows charging a smartphone or a tablet three times. The INTER-STEP PB4000 does not have the amazing technical twists and heaps of additional features, but it is very reliable and affordable ($20). The model is small and light, making it easy to be carried in your pocket or bag. If you do not want to overpay for unnecessary technical tricks – this device is for you: buy without doubting. possibility to charge three devices in a row. a glossy case on which overly bright fingerprints are left. The second generation of Xiaomi power banks is equipped with batteries with increased operating voltage, so new power banks can store and give more energy. 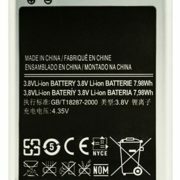 By the way, on the package of the device now it is honestly stated: 10000 mAh (3.85 V) and 6900 mAh (5.1 V). If we also take into account the efficiency of the converter, it becomes clear that the ten-thousand Xiaomi can fully charge powerful portable devices just one time, and an average smartphone – 2-3 times. In other words, we are dealing with a typical urban model that supports Quick Charge technology and also has a special mode for servicing gadgets with low charging currents (headset, fitness bracelets, etc.). Perhaps the best power bank for a smartphone, and the only claim that can be made against Power Bank 2 is a fingerprint magnet case. a special mode for charging low-current equipment. Virtually without exception, all sorts of catalogs and commercial Internet services are thoughtlessly replicating a typo on the official website, indicating the thickness of this device equal to 50 mm. And meanwhile, the manufacturer refers to his product as “ultrathin power bank”. In fact, the corresponding device parameter is about 10 mm, but this is not the main advantage of Canyon CNS-TPBP5. 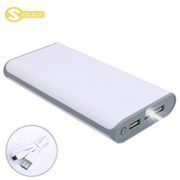 The recommended power bank is equipped with micro USB and Lightning input connectors, and therefore represents an attractive solution for Apple gadgets owners. Indeed, why carry a few cables with you, if you can do with one? There are also two outputs, but without any special bonuses – usual USB, not even supporting fast charging technology. However, the overwhelming majority of iPhone or iPad owners do not need it. Especially for such a price. The cost of this external battery is not small, but it is fully justified by its capabilities and package contents. In addition to two familiar USB ports with charging currents of 1 and 2.1 A, Rombica has a special jack for connecting a large list of laptops for different supply voltages. A single button is used to control the operating modes. It is used to turn the device on and off, check the level of the remaining charge, and switch the voltage on the “laptop” output to one of three possible values: 12, 16 or 19 V. The current value is easily verified by the corresponding LED indicator on the side face. The package includes a dozen adapters for the main types of power connectors and two separate cables for connecting old and new models of the MacBook. Given the solid capacity of its own battery, it would have taken a very long time to charge the device via the USB input port. Fortunately, the NEO PRO180 power plan provides for connection to the power grid using a powerful 19-volt power supply. Full charging of the device itself takes about three and a half hours. fast charging from the mains. 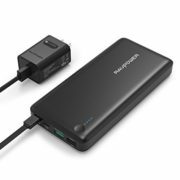 All that has been said about Rombica’s power bank is also applicable to this model, since it is a 100% clone of NEO PRO180 for a slightly lower price. A characteristic feature of power bank of this design is in an intelligent control scheme. It protects the connected gadgets from overcharging and power surges, and its own electronic stuffing – from overheating and short circuits, and demonstrates the ideal quality of stabilization of operating parameters in all modes. By the way, in the absence of load, after 30 seconds, the external battery’s electronics are automatically switched off. One universal cable and ten different adapters allow you to connect most popular laptop models. For example, four adapters are suitable for several models of Acer, at least three – for Lenovo, Asus, HP, Samsung and other well-known brands are not forgotten. 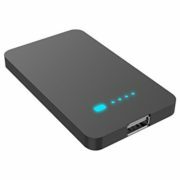 It is less useful to purchase a dedicated laptop power bank to charge smaller mobile gadgets, but if it is – why not take the opportunity to increase their charge. Fortunately, all the necessary connectors are also available for this. fully charged from the mains in less than 4 hours. Most tablets have rather capacious batteries, which can not be recharged using low-capacity power banks. And in order to perform such an operation a couple of times, you will need a power bank of 15,000 mAh at least. The products produced under the brand HIPER are deservedly ones of the best in this class. Last year, the company significantly updated its model lines-up, and we recommend that you pay attention to the RP line-up. It supports the fast charging function of the device itself, which distinguishes this series from numerous competitors. Unfortunately, the AC adapter is not included in the package, but there was place for four adapters. Otherwise, everything is typical for inexpensive portable power banks: four LED indicators, a power button that helps to check the remaining charge, and one input and two output USB ports. fast charging of the power bank itself. 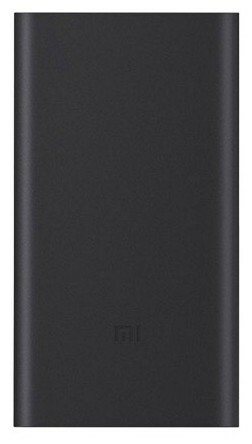 One of the most powerful Xiaomi power banks in an anodised aluminum case. The device is able to provide power to even consumers with a large charging current. Separately, each of the available connectors can produce slightly more than two amps, and when turned on in parallel – their load capacity increases to 3.6 A. The type of smartphone or tablet put on the charge is determined automatically, the manufacturer guarantees the recognition of the products of most brands of group A. 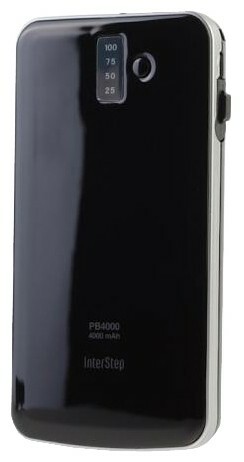 The effective capacity of the battery is about 10,000 mAh. In other words, it can charge the sixth iPhone 5 times, and the fourth iPad – two times completely and the third to 60% of the nominal battery. The device is large enough and thick, so it is not very convenient to carry it in your pocket daily, but it will be irreplaceable on a business trip or on a picnic. it is difficult to determine the value of the remaining charge with four LED indicators. 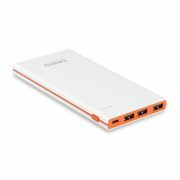 This capacity of the power bank is excessive for daily use, but when hiking and going on business trips to other regions it will be fully in demand. 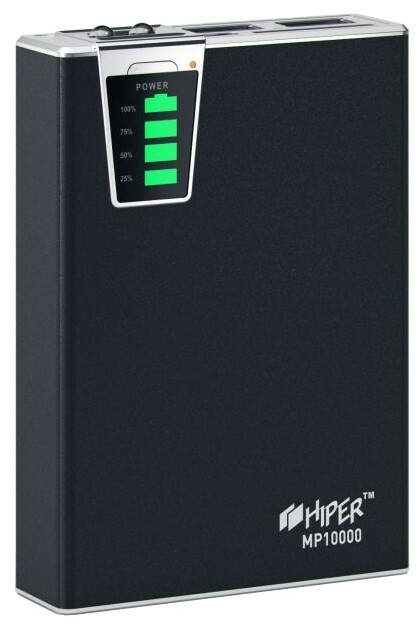 As an option – a common power bank for a friendly company of classmates. And it’s not for nothing that this model (including its first generation) occupies the top lines of various ratings of the best power banks. 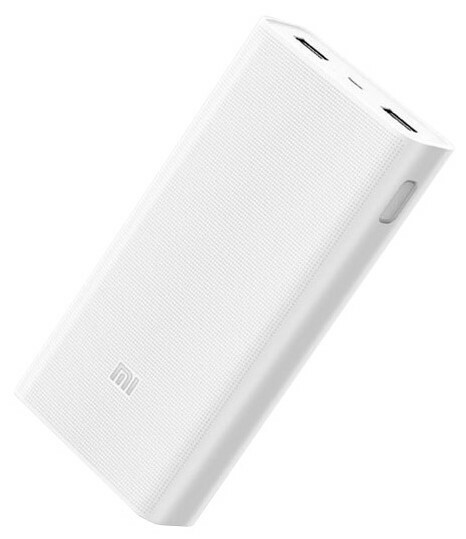 By the way, it differs from its predecessor Xiaomi Mi Power Bank 2 not only in size but also in revised output modes. Now power bank is able to charge itself even faster and supports the technology of Quick Charge 3.0. 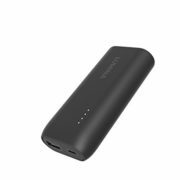 At least this specification is listed on the official website of the manufacturer, therefore, the power bank is able to work effectively with the vast majority of mobile gadgets. Including those designed for charging with low current, for example, fitness bracelets. high and fairly honest battery capacity. A “trick” of this external battery is the ability to be charged through one or simultaneously through two micro USB ports. Accordingly, in the second case, the time of such an operation is reduced by half. The downside here can be considered the need for a pair of suitable current sources (at least 2.3 A each). Another feature of this model line-up is the original gesture control, reminiscent of the way to unlock the smartphone. The power bank can be turned on by the swipe on the touchpad to the right, swipe to the left turns it off. It’s interesting that the HIPER XP17000 is much more compact than the less capacious 15-thousand model of the same line-up. Tough, much thicker than the latter and a little heavier. As a “place of residence”, a large jacket pocket is quite suitable for the power bank, and its capacity is enough for 3-4 recharges of a powerful smartphone. it is difficult to find quality power adapters of suitable rating. Against the background of similar “solars” of Chinese production, this device looks very unusual. Strictly speaking, it consists of two devices: the solar panel Nomad 7 on a fabric basis and a block of replaceable finger batteries. The kit includes 4 elements of the AA type, but there is also a special adapter for the AAA size. The choice in favor of NiMH-batteries now looks very strange. On the other hand, it’s a solar battery! Consequently, severe frosts during its operation are not assumed. A solid package in the form of a book with a cover on magnets already arouses respect. The problem with the magnitude of the charging current, which the solar panel can generate, was decided here by the most obvious way – by increasing its area. And a folding design allows to reduce the dimensions in the transport position. Admit it – a simple and elegant solution. 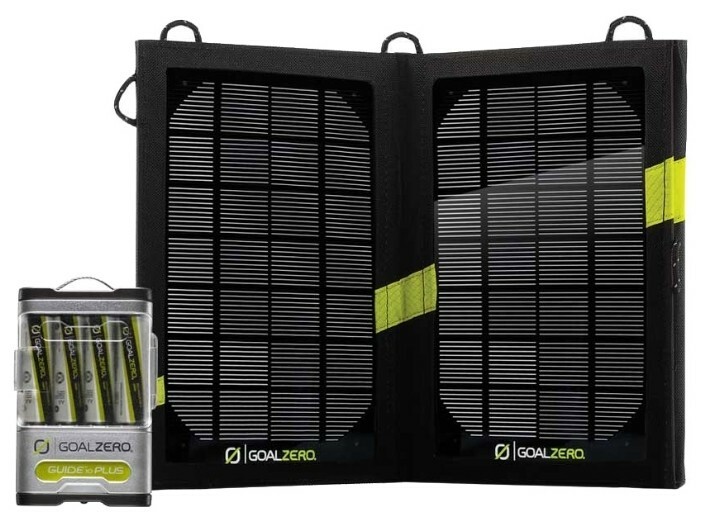 On the back of the solar panel there is a mesh pocket with a zip, in which it is convenient to store various adapter cables, and the charging gadget itself can be easily placed here. it is possible to charge the batteries “in reserve”. it is not recommended to charge mobile gadgets directly. 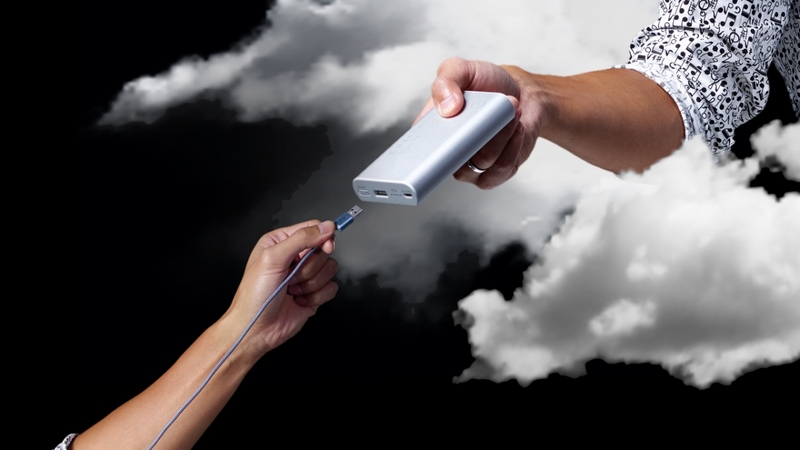 The manufacturer “modestly” calls his device an autonomous power system, emphasizing the ability to charge this power bank in three ways: traditional and fastest – by using an AC adapter, using a connection to a computer via a USB port and through a highly efficient solar panel. The latter is not indicated in the technical specifications, but if it is really made of single-crystal silicon, the rate of charging the battery from the sun’s rays will be quite high. Another distinguishing feature of this device is the maximum value of the output current. If the bulk of products of this class has single-amp ports, then the model from Sititek is capable of charging more gluttonous consumers. Power bank iconBIT FTBTravel is equipped almost “adultly” – a 4-segment indicator, a white LED as a flashlight and even two USB ports for connecting gadgets. The maximum output current for both ports is 1 A – considering the not very high capacity of the external battery, it would be in vain to expect more. 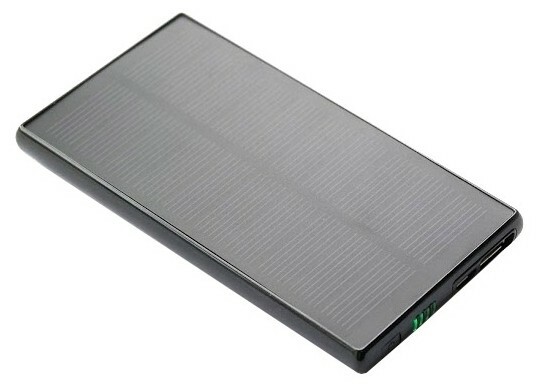 According to the manufacturer, the solar panel has a power of 1.5 V. It’s hard to believe, but it will be able to recharge the phone by several percent in order to make a call or send a message in an emergency situation. The aim of the device for outdoor enthusiasts emphasizes its dust and moisture proofness. In addition, a rubberized case protects the solar “battery” against shocks. not suitable for all types of smartphones. 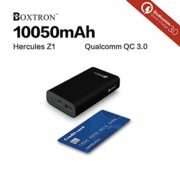 If you have several mobile devices (smartphone, tablet, laptop and so on), it is better to choose a universal model – by the way, there are many of such power banks on sale. The greater the capacity of the charger – the more gadgets it can bring back to life. However, if your laptop has stood comfortably on the table in the room for all its usage, and you do not plan to take it out to the field, then the capacity above 10,000 mAh will be superfluous (btw, a powerful external battery will be charging much longer too). And models with recharging from solar panels will allow to save on electricity. 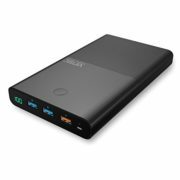 More information on how to choose the right power bank, you can learn in this article. Read, buy, use!